With broad shoulders, muscular arms and a determined attitude, it is clear that Dennis Clark is a strong man. He takes on challenges, pushes the limits and goes the distance. The fact that he can’t use his legs doesn’t matter. 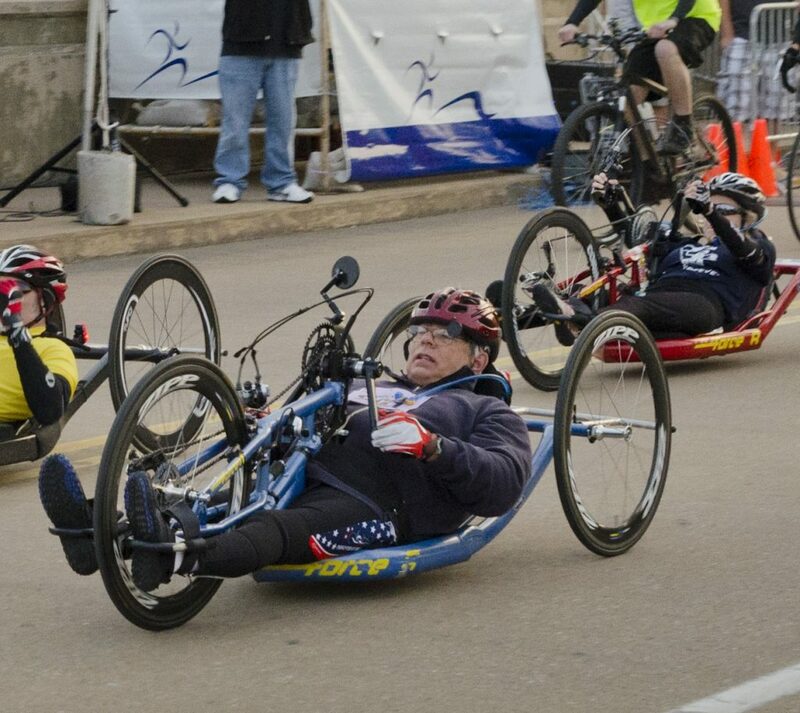 Paralyzed from the waist down in a 2001 hang gliding accident, Clark, 72, has powered a handcycle across the finish line of the Covenant Health Knoxville Marathon multiple times, taking the first-place prize in 2013. Clark is one of a growing number of athletes reaping the benefits of the Innovative Recreation Cooperative (IRC), a program of Patricia Neal Rehabilitation Center. Program coordinator and clinical specialist Al Kaye explains that partial physical limitations don’t have to limit overall physical potential. IRC has worked with more than 20,000 participants and volunteers since its inception in 1994. Spinal cord injury patients like Clark often come straight to PNRC from hospitals where they undergo life-saving procedures. Clark spent 11 days at a hospital in Chattanooga, and says he thought he was simply being transferred to a hospital closer to home. He soon found that PNRC was much more. IRC takes patients like Clark far beyond surviving to thriving. They often find they are capable of enjoying life in a way that was beyond belief when they were first injured. Today Clark says that hearing loss he experiences as a result of his time in the U.S. Navy during the Vietnam War is more of a disability than losing the use of his legs. He is practically unstoppable. The IRC gets participants started, and then connects them with other resources and opportunities – even up to a professional level. Some stay with the program long term to help new patients as peer mentors. Clark is a member of the 2019 Covenant Health Marathon Team, which is made up of veterans representing all branches of the U.S. military. Members serve as ambassadors for health and fitness in the community. He is joined by fellow IRC participant David Neumer, a veteran of the United States Army, who was critically injured in a mortar blast while serving with Special Forces in Afghanistan. Neumer quips that he was “adopted” by IRC after learning to handcycle while at Walter Reed National Military Medical Center in Bethesda, Maryland. Neumer was the first-place finisher among handcyclists in the 2014 Covenant Health Knoxville Marathon. He has since taken up water sports and marksmanship, something Kaye says is popular among military veterans in the program. Clark says that the IRC has done more than help him cross finish lines and get some impressive accomplishments under his belt.